We take a look at the Nokia 5.1 Plus, with a 5.8 inch HD+ display and 13 megapixel camera with depth sensor. 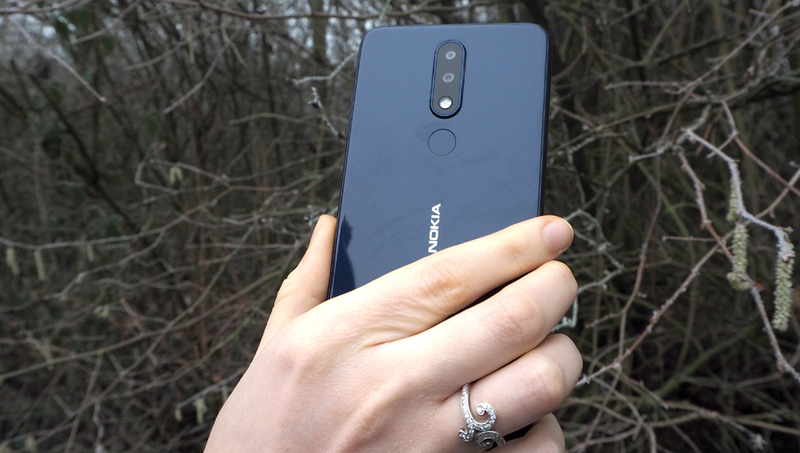 The Nokia 5.1 Plus is capable of capturing vibrant images in HDR mode and isn't bad at taking selfies in natural light. It does offer a depth sensor, giving you the ability to shoot images with manufactured bokeh, and offers a decent HDR mode aswell. However, for dedicated photographers, the device has a quite limited manual mode, with no ability to manually set the ISO or shutter speed of images. It also lacks in the video department, not offering 4K video like a lot of its competitors. The Nokia 5.1 Plus is a budget-friendly smartphone offering a 13-megapixel rear camera, 8-megapixel selfie camera and 5.8-inch HD+ screen. It features an edge-to-edge screen design with a high-gloss finish and a curved glass back. It's available in black, blue and white, for around £200 from Amazon. How does the device perform for photographers? We find out here. The Nokia 5.1 is a pretty sleek phone, featuring only 2 buttons - the volume rocker and the power button on the right-hand side. On the left, you have a SIM/MicroSD slot which is accessed by push-pin and sits flush with the body. There is an audio jack on the top (a rarity these days!) 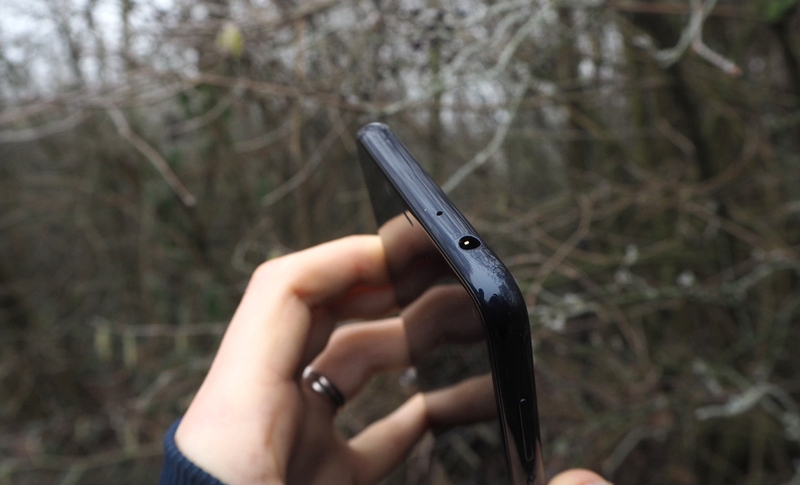 and a fingerprint sensor is found on the back underneath the rear camera setup. The rear camera is a 13-megapixel f/2 offering coupled with a 5 megapixel optic for depth sensing. This should allow you to achieve natural looking bokeh on portraits. There's also an LED flash. The front camera is an 8 megapixel optic with f/2.2 and a wide 80.4 degrees Field of View enabling you to capture more scenery and people in your selfie shots. There is an ambient light sensor, proximity sensor, accelerometer gyroscope, and fingerprint sensor built-in. As this is a budget offering, there is no 4K video and a decent RAM and storage allowance of 3GB and 32GB. This can be extended by up to 400GB with a MicroSD card. The phone is running Android 9 Pie and is Android One (pure Android rather than a manufacturer-modified version), meaning it should be stable and fast to operate. It boasts an Octa-core processor which Nokia claim is MediaTek's most advanced chip to date. 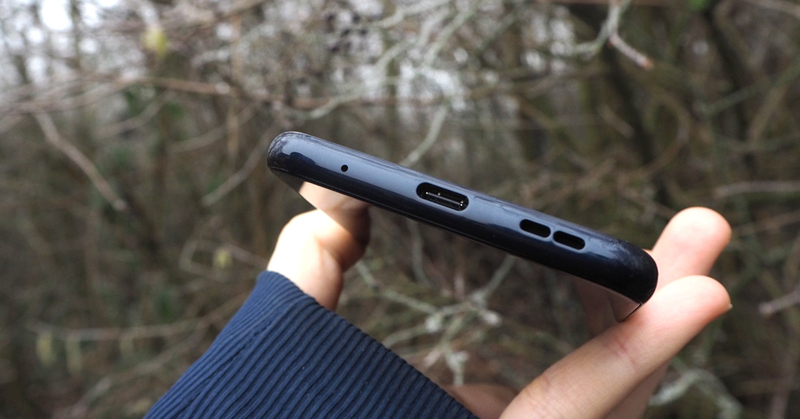 The phone has a USB-C charging port and a 3060mAh battery. Wi-Fi and Bluetooth are both built-in, as expected, and the phone is made from 2.5D glass on both sides and CNC-machined metal camera bezel, giving it a tough but fingerprint attracting finish. The Nokia 5.1 Plus features a 2.5D curved glass rear and a CNC machined camera bezel, giving it a premium look and feel. Compared to the Nokia 5.1, the 5.1 Plus offers a slightly larger screen at 5.8 inches compared to 5.5 inches and the addition of the depth sensor. There's also more scope for expansion of the memory as the Nokia 5.1 can only accept Micro SD cards up to 128GB. The utilisation of the top notch on the 5.1 Plus does make the screen feel bigger. 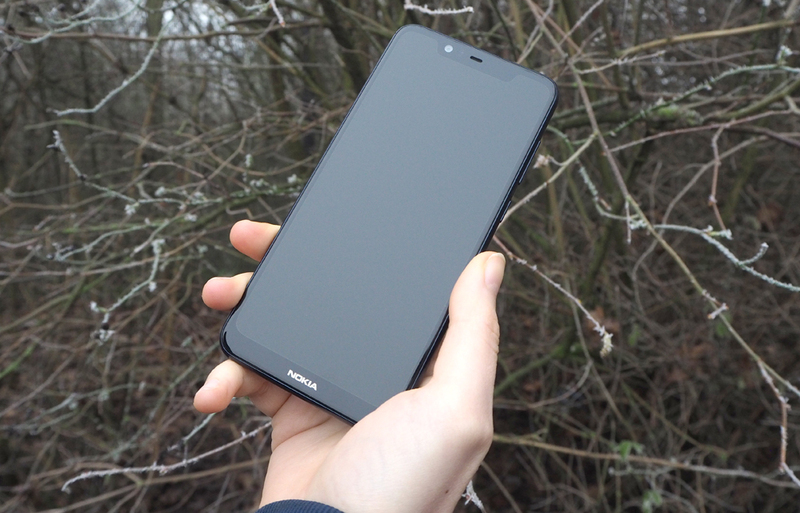 The phone weighs only 160g, making it feel quite light in the hand compared to some. Buttons feel robust, and there is the ability to swipe diagonally up from the bottom right corner on the lock screen to quickly get to the camera mode. The 5.1 Plus is a very lightweight phone - but it feels well built thanks to the glass front and rear. Beauty mode toggle on/off - putting beauty mode on allows you to toggle a slider altering the strength of the effect. If you link a Google Account up to the phone, an Instagram symbol may also appear. To access video mode, swipe right on the screen. The highest resolution is 1080p (rear) or 720p (front) and there are time-lapse or slow motion options available. In panorama mode, press the shutter button and then move the camera left, right, up or down keeping the arrow on the white line. When you're done, press the shutter button again. In live bokeh mode, there's a slider which lets you choose the degree of bokeh applied to an image. In manual mode, you can change the focus point, select infinity / macro mode, change the white balance and select +/-2 EV (in steps of 1). There is no ability to change the ISO or shutter speed, which is disappointing but not entirely surprising on a budget model. Once an image has been taken you can then apply filters to it, adjust lightness, colour shade and pop (contrast) and crop / rotate the photo. The image on the screen is pretty sharp and crisp, although the notch is quite large, unfortunately. There is a tendency for the camera to give a yellow tone in auto mode. The menu system in the camera mode is easy to navigate and is quite intuitive, with image capture happening very quickly and smoothly with little lag. The phone has an AnTuTu performance rating of 119379. 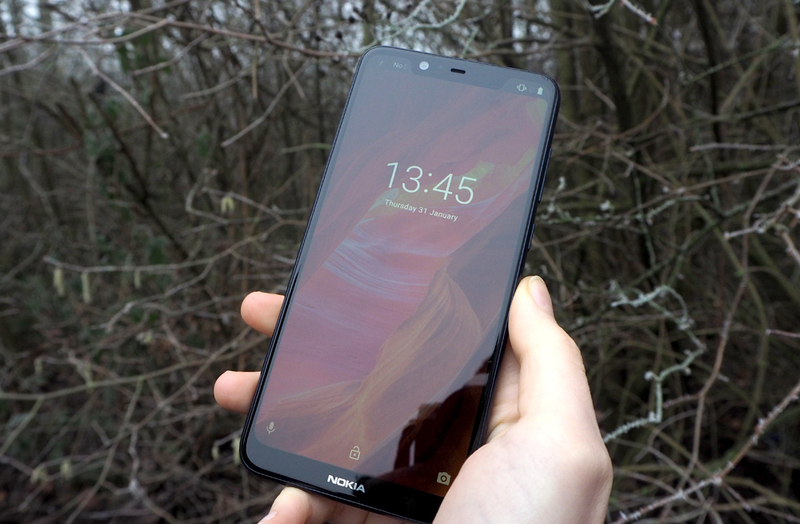 Battery life - The Nokia 5.1 Plus has a battery rating of 3060mAh, which will give a fair battery life, however, there are competitor phones of a similar spec that have higher rated batteries. If you're going to be away from a power source for a long time, we'd recommend getting yourself a portable power bank just in case.